It was 19 years ago today that Sheridan High School was in the news probably for the first time since our football team made it's remarkable comeback in 1986-87. However, the contrast in the two events couldn't be more drastic. In 1986 it was victory that drew the media's attention. In 1990 it was tragedy. On April 30th, 17-year-old Tommy Smith asked to address Rick Ward's history class. After Tommy expressed his love for a girl in the class, he put a gun to his head and pulled the trigger, ending his life in front of a room full of his peers. My sister was in that class. 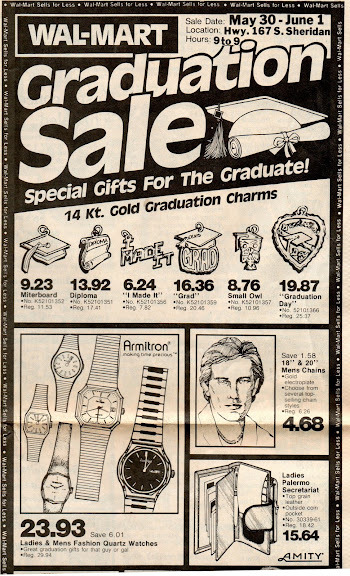 Perhaps you or someone you know was also in the class. Andy Welch ('85) recently sent me an article he found in People Magazine's online archives that gives a brief yet thorough, honest yet non-graphic snapshot of what would finally be 4 teen suicides in just 5 weeks. A sign on the Sheridan Pentecostal Church says, GOD NEVER PROMISES SUNSHINE WITHOUT RAIN. But though the town's 3,200 souls have endured storms, fires and tornadoes, nothing could have prepared them for the blows of this spring. Tommy Smith was the second of four Sheridan High School teenagers who killed themselves in the tiny community in a span of five weeks. 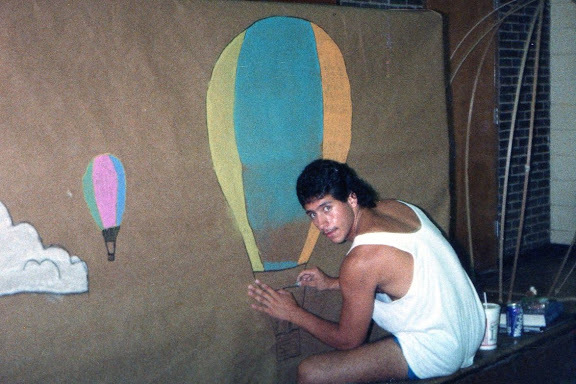 It began when Raymond Dale Wilkinson, a 17-year-old senior, took his life on March 28. Smith was next. That same evening, Thomas Chidester, 19, turned a gun on himself in his bedroom. The next day, 17-year-old Jerry Paul McCool also put a bullet in his head. The four stunning fatalities added to the nationwide toll of teen suicides that claims some 5,000 lives a year. As elsewhere, the victims were bright youths who, despite adolescent traumas, seemed to have much to live for. Since I was away at college when this happened, it would be, well, almost wrong for me to share my own thoughts. Sure, I had a vested interest towards my sister's well being. But I knew nothing of what she & her classmates were going through. So a few days ago, I asked. I realized that I had over two dozen Facebook friends that would've been in school during this time, so I attempted to submit some questions to them, asking (respectfully, I hoped) what they remembered about "that day." Here's what I learned. Those who were there - now in their late 30's - still remember what class they were in that afternoon... when they heard the sounds... when they were detained in class without explanation... when they worried together... cried together... questioned together... prayed together. But what seemed most evident from their testimonies was their coming together. And now - almost two decades later and spread many miles apart - they are still together, bound by their memories and their resolve to overcome this dreadful experience. Out of over a dozen responses I received, I don't think anyone said that their lives had not been impacted by the suicides. Some are parents now, some teachers, and often reflect on their experience as they interact with their children and students. One of Tommy Smith's former classmates and friend is a social worker now who now interacts with people in crisis, doing her part to help prevent what she witnessed first hand as a teenager. Were it possible to erase the events of their past, would they? In a heartbeat. Do they regret the many ways this has made them the people they are today? For the most part, I don't think so. 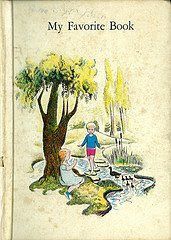 Having received about a fifty percent response to my inquiry about the suicides, I suppose that there are still those who would rather not recall the memories. One person was even honest enough to tell me that. So, with respect towards them, thankfulness for those who did respond and in memory of Raymond, Tommy, Thomas and Jerry... I submit this blog post as a simple and insufficient memorial. Too much time was spent on this video. Did that old bald man just say, "Duuuuuude!"? Please. I can't fight this feelin'... of nausea. Same old bald man carefully said, "Not bad for about five minutes rehearsal. Same old bald man is trying way too hard to be cool. I'm sorry I made you watch this. I really do like STYX and REO, really. Back when they were younger than me. If, even after this train wreck, you're still hopeful that they'll be better in concert, help yourself. Ok - I'll take the lead here and post my own pic first, but then I'll embarrass the rest of you below. 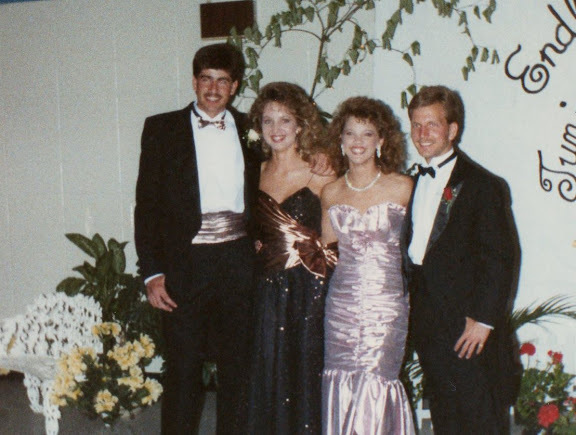 In the photo above is Eric Hanson ('89) and his date Jenni Crosswhite ('90), my date Carrie Rhinehart ('89) and myself, and LeAnn (forgot her last name... Lisa Deal's cousin) and Trent Allen. 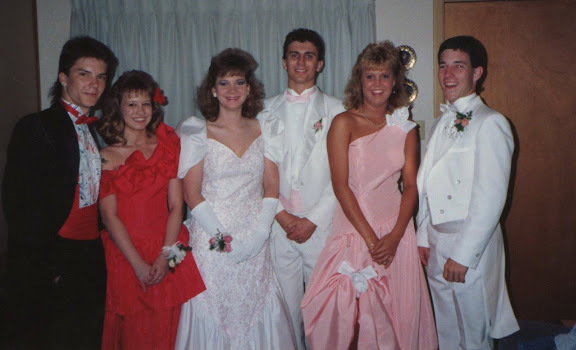 Trent and I followed 80's tradition with white shoes, white tux, white boys. Eric broke out and bravely wore the new paint-splatter pattern. 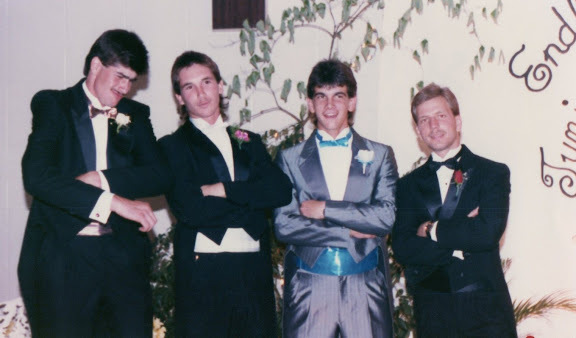 Senior prom gents David Lunsford, Brad Larue, Shannon Talbert ('89) and Scott Herron. David again, now with his date Cindy Grace; as well as Scott & Michelle. 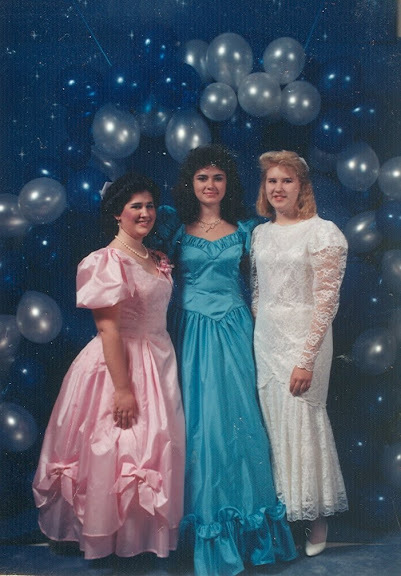 From our Junior Prom, here are three lovely ladies. Melissa Nesbitt, Corinna Hartman and Christy Romine. Ok - maybe Eric wasn't the only cool guy this year. 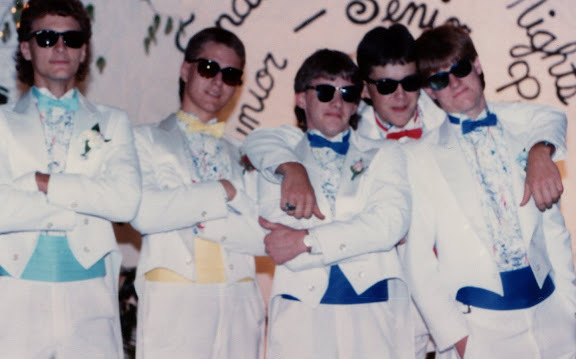 Wearing matching paint-splatter shirts and shades are David Herbert ('89), Breit Hicks ('89), Brian Pruett, Billy Bob Bryant ('89) and Kevin Young. 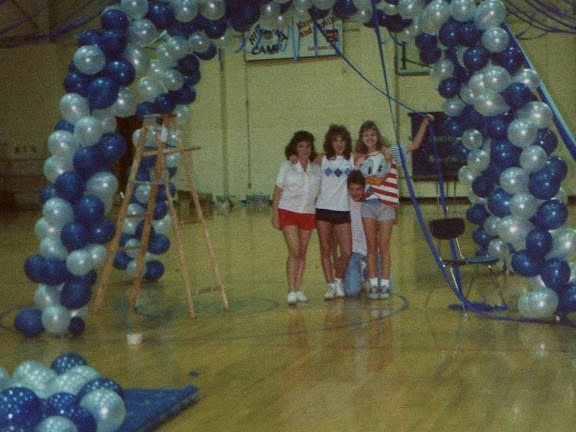 Before we could enjoy our Prom, many of our classmates had to spend many selfless hours decorating. Below are several pics of some of the people who made our Junior Prom so memorable. Here are Sara Luft, Vicki Thompson, Mandy Jester and some unidentified male imposter. Jerry Mills & Vicki Thompson goofing off. Andrea Winston, Michelle Parker and Christi Sullivan. Something tells me that this might not belong with this group of pics... but none the less, Phillip Clifford is decorating for something. Can someone verify that this is prom decorating or something else? What do you get when you cross two photographers with an air conditioner? Q: What do you get when you cross two photographers with an air conditioner? What do you think was better about Prom this year compared to years before? Senior Christi Eggburn - prom was much better this year because I only had to wait in line about 10 minutes to have my picture taken. Senior Laurette Lankford - This year's Prom was great. The decorations were done well, and you didn't spend all of your time waiting in line to get your picture made. It was a lot cooler in the Jacket House and, all in all, the Juniors did a good job. Junior Buffie May - Prom was better this year in many ways. I really enjoyed the air conditioned enviroment. I also liked the video screen and I liked how Prom was set up. This was the first Prom I've been to where people actually stayed and danced. Junior Gayla Rice - This year's Prom was a lot better than last year's because it was air conditioned. It was also better because there were two photographers and we didn't have to stand in line for two hours. If you're still living in Sheridan and you have a junior or senior, then you most likely sent them to their Prom last Friday night. Another one of those surreal moments, right, when you're watchin your child participate in something you did just yesterday!? 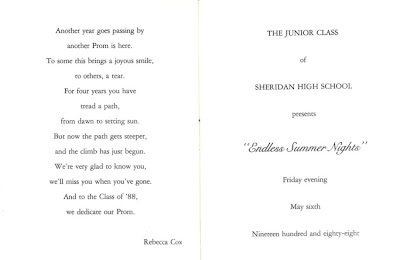 Well in honor of Sheridan High's formal event last week, I'm dedicating this entire week of blog posts to our Jr & Sr Prom memories. I'll begin by re-posting these images that I originally posted back in August. 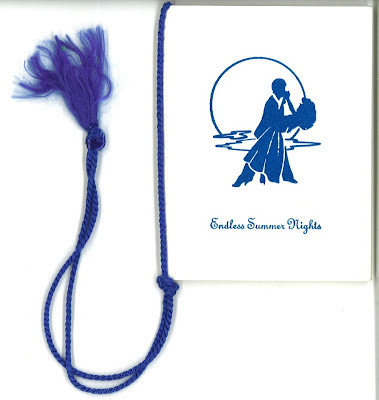 Below you'll find some of the souvenirs from our Senior Prom. Here is the small keepsake booklet we were given (or did we have to pay for these?). 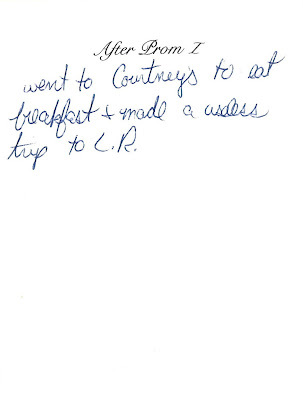 This was the only thing I wrote in my little keepsake memories book. "Went to Courtney's [Robinson] to eat breakfast & made a useless trip to LR"
The keepsake prom glasses from both our junior & senior year. I KNOW we had to pay for these. Stay with us this week - there's much more! 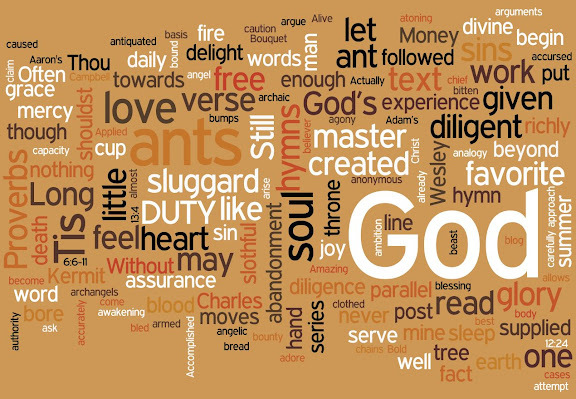 I found a fun online tool last week called Wordle. It's easy to use. You enter any text you want or any url that has an RSS feed, and Wordle creates a word picture. The largest words are the ones most used in the text or feed. 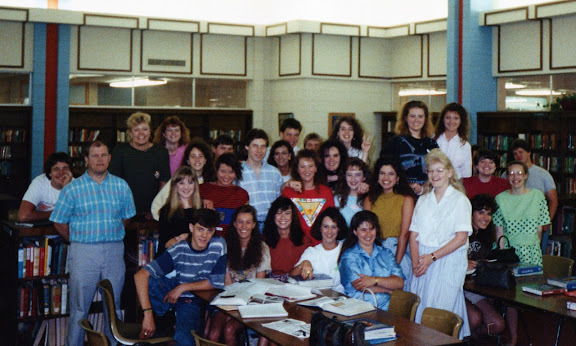 The first image below was done with the Sheridan 88 blog feed, just after I posted the 9th grade pics, so you can see all the names that showed up. 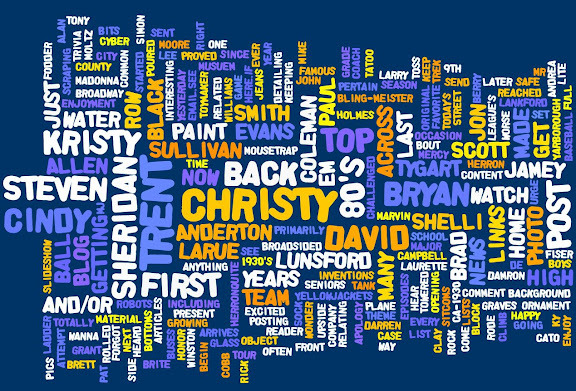 The Wordle below was created with the article "Yellowjackets Headed to Playoffs". You can even pick your own colors, fonts & layout. 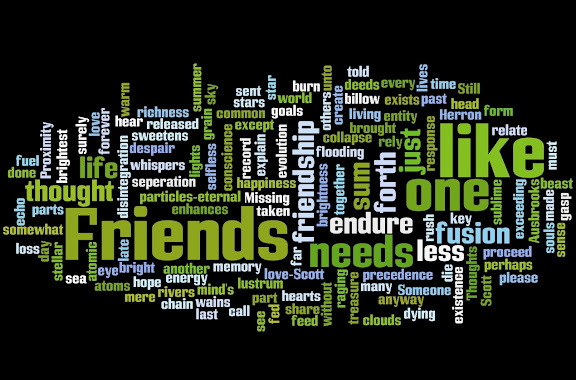 Below are Scott Ausbrooks' poem as well as one I did for my personal blog or check these Wordle images made from presidential inaugural speeches. The creator of Wordle allows anyone to use these images in any way they desire, as long as credit is linked back to his site. So try your own Wordle. SHS students participating in the Secretary of State's Apprenticeship program are: (from left) Aaron Wilson, Cindy Grace, with Bill McCuen, Christi Eggburn and Kathy Flynt. The program is used to teach youth about their state government. The lasting impact this trip had on me was minimal... in fact, I had to ask Kathy Flynt how we were even selected to attend this event. She informed me that she and Cindy were selected in Mr. Robinson's class as a result of picking the number closest to the one Mr. Robinson was thinking of. 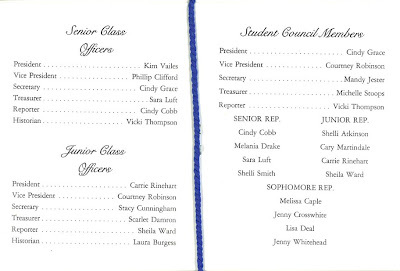 I'm sure Mr. Easton's qualifications for Christi and I were just as scholarly. In case you don't remember Bill McCuen, he had a sad & tragic end to his political career. He died in the state prison in 2000 while serving 16 years for ethical violations. Four Sheridan High School students and two Poyen High School students recently met with Secretary of State W.J. 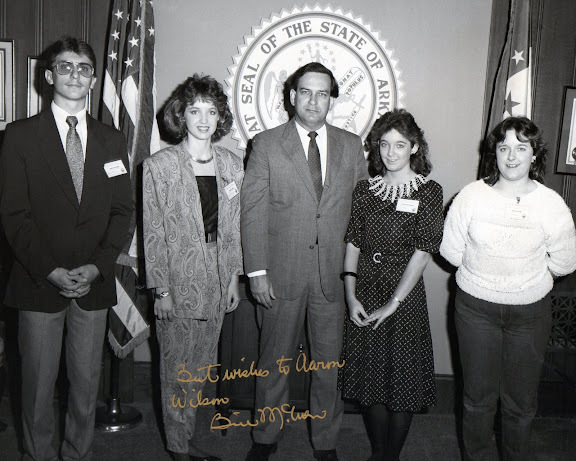 "Bill" McCuen and other state officials when they participated in the Secretary of State's Apprenticeship Program at the state Capitol. The students were Aaron Wilson, Cindy Grace, Christi Eggburn and Kathy Flynt from Sheridan and Melissa Ballard and James Fenter of Poyen. 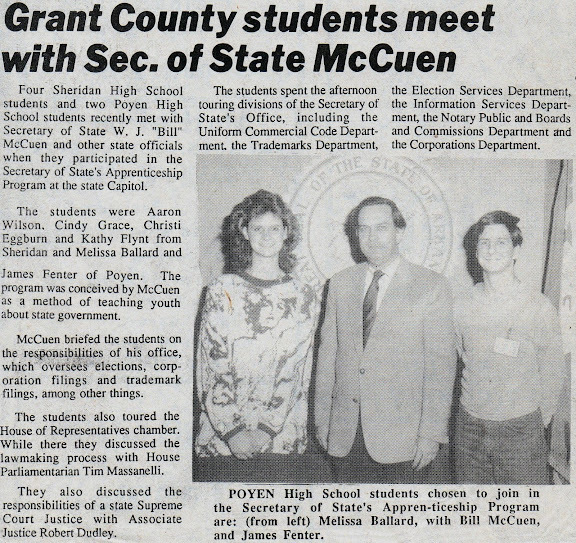 The program was conceived by McCuen as a method of teaching youth about state government. McCuen briefed the students on the responsibilities of his office, which oversees elections, corporation filings and trademark filings, among other things. The students also toured the House of Representatives chamber. While there they discussed the lawmaking process with House parliamentarian Tim Massanelli. They also discussed the responsibilities of a sate Supreme Court Justice with Associate Justice Robert Dudley. The students spent the afternoon touring divisions of the Secretary of State's Office, including the Uniform Commercial Code Department, the Trademarks Department, the Election services Department, the Information Services Department, the Notary Public and Boards and Commissions Department and the Corporations Department. Thanks for visiting the Sheridan 88 Blog... 7,000 times. 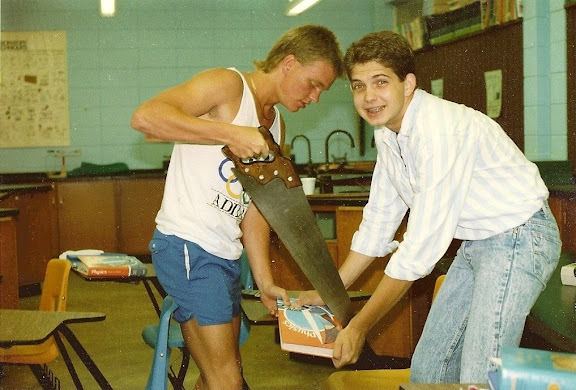 Here's a great picture provided by Renee Holmes featuring Kevin Matlock and Bryan Tygart playing around with their physics book... and a saw. There's bound to be a witty caption to go with this pic, but I'm not feeling too witty right now, so I'll give you an opportunity to supply the caption in the comments section. Have fun! 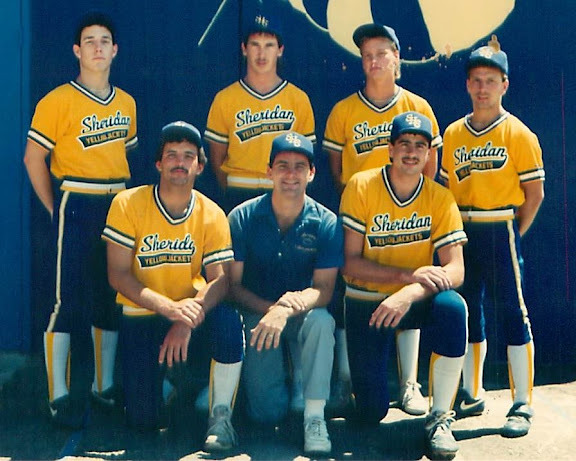 In keeping with the baseball theme this week, here are my team pictures from at least five of my uneventful years in the Sheridan summer baseball program. Now, I'm not posting these just so you can see me. 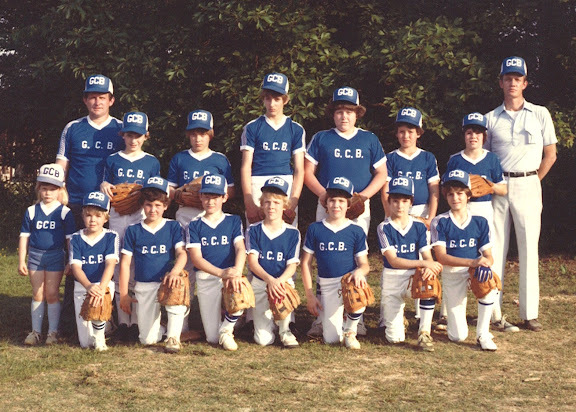 And, I'm certainly not posting these because I was a great ball player. But I am posting these because you'll find quite a few other classmates among the team members. Also, notice the early stage of hat-wearing seen here. Basically all you see is "High Ridin' & Straight Brimmed". It's not until the early 80's that the hats evolved a bit with the single bend in the brim. On the back of the cardboard frame that came with all team photos, was a place for autographs. 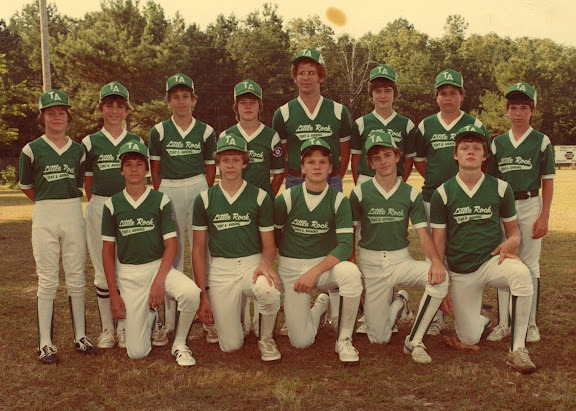 Of course I wanted my first year's baseball experiene to be complete, so I had my teammates sign on the line. 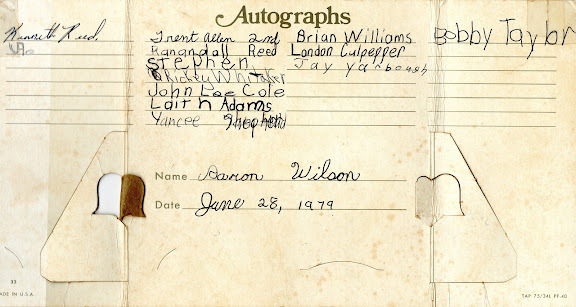 I'm sure I was thinking ahead: if any of these little guys ever went pro, I could sell this on Ebay for some quick cash. Right on. 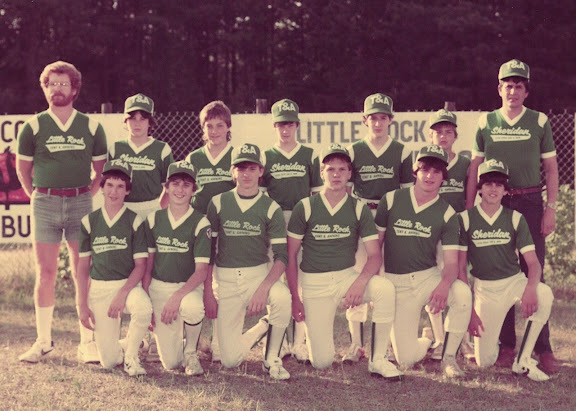 My most vivid memory from playing on LR T&A is riding in the back of Coach David Gartman's Jeep on the way to practice at the Gartman homeplace south of town. MJ's "Wanna Be Startin' Something" was BLARING out of the speakers & I instantly became a fan. 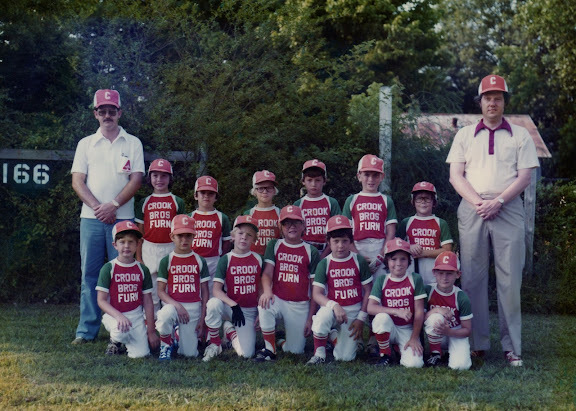 In honor of the Major League's opening game yesterday - AND by way of apology to David Lunsford (He sent this photo to me last year and I totally forgot about including it in the slideshow!) 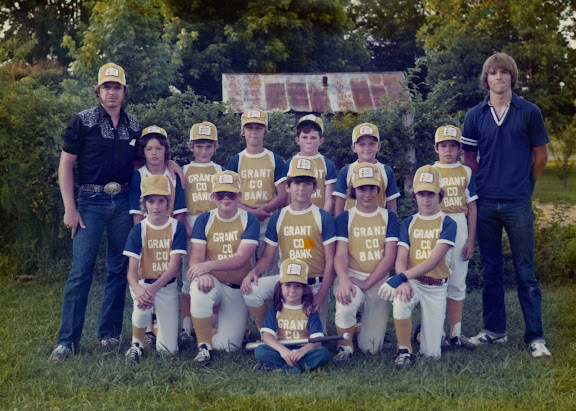 - I present this team photo of the 88 Seniors from the Sheridan Yellowjackets Baseball Team. I'll have a few articles to post later detailing their season. Quite often while scraping the cyber bottoms for blog fodder to keep you, the reader, happy & content, I come across some interesting bits of trivia & news that I just don't have time to post and/or comment on. So I'm going to begin - on occasion - posting a list of links to such material for your enjoyment. 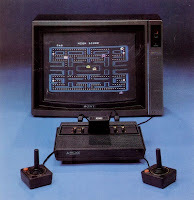 In keeping with the 88 blog theme, these links will pertain primarily to the 80's and/or anything relating to our growing up years. Today's post is the first of such lists. Enjoy. :: Every wonder just how safe those school buses were you rode on all those years? :: What do Mousetrap, Toss Across, Simon, Lite Brite and Rock 'Em Sock 'Em Robots all have in common? They're all the inventions of toymaker Marvin Glass. :: In case you haven't heard by now, MJ is back for one last tour. :: What's worse than getting Rick Rolled? How 'bout getting broadsided by his first Broadway attempt. :: Ever get the urge to watch Tatoo get all excited when de plane arrives? Or wanna see Mr. T - the original bling-meister? Watch full episodes of some of your favorite 80's sitcoms here. 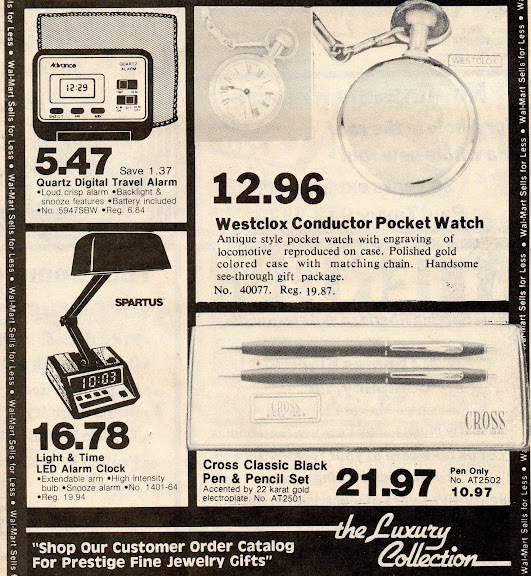 If you hear of any 80's related news - send me an email. 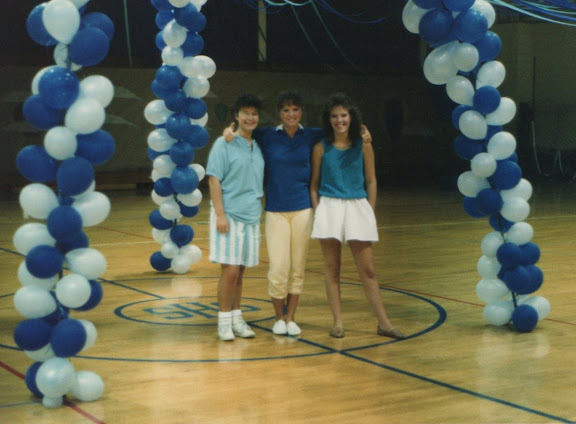 See the first set of 9th grade pics here.